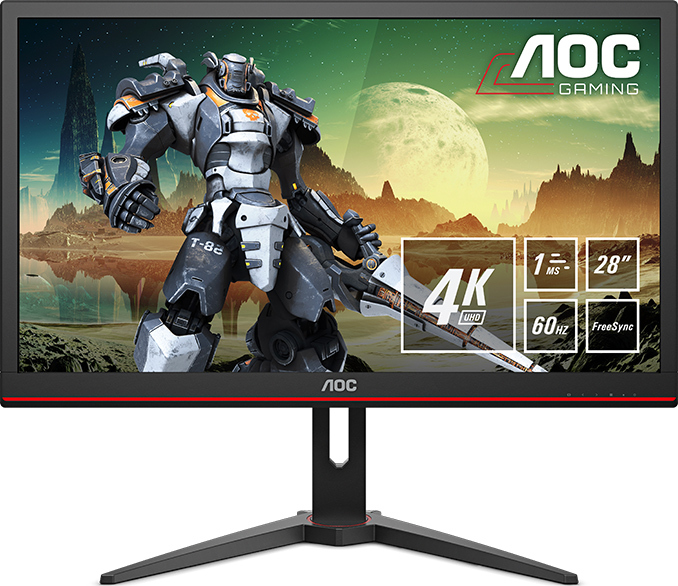 AOC this week introduced its first entry-level 4K gaming display. The G2868PQU monitor boasts with numerous firmware-based features designed for gaming, as well as a 1 ms response time. 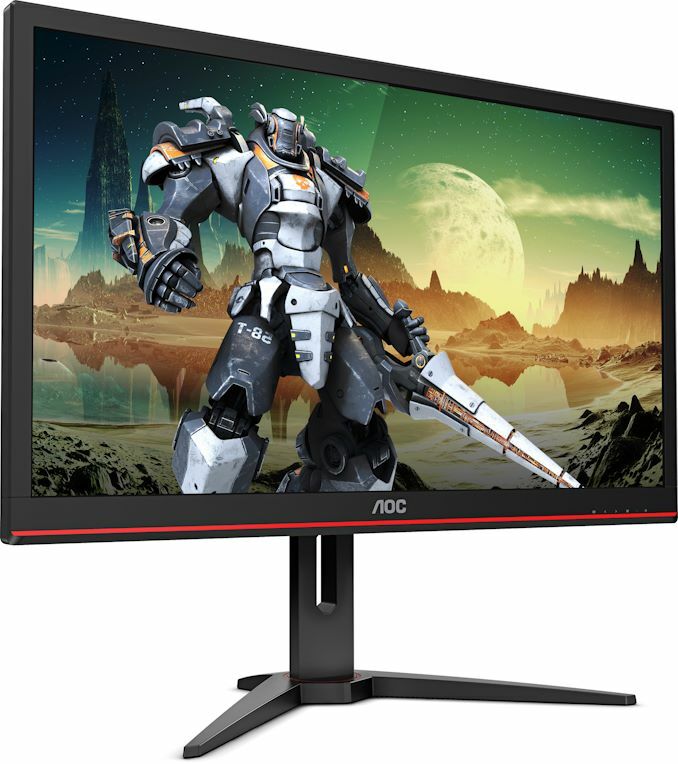 The monitor also supports AMD’s FreeSync technology, though this isn't being paired with any kind of high refresh rate ranges. The AOC G2868PQU is a 28-inch LCD that uses a ‘next-generation HDR-Ready' TN panel. The monitor features a 3840×2160 resolution, 300 nits maximum brightness, a 1000:1 contrast ratio, a 1 ms response time, and a 60 Hz maximum refresh rate. The display has a scaler than supports AMD’s FreeSync dynamic refresh rate technology, but the manufacturer does not disclose its range or whether it's wide enough to supports Low Framerate Compensation. Although AOC claims that the monitor is ‘HDR-ready’, it never specifies whether the monitor supports HDR10 or other HDR transport formats. In any case, an LCD panel featuring a maximum brightness of 300 nits can hardly offer a good HDR experience. Meanwhile, the display can cover 102% of the sRGB and 82% of the AdobeRGB color spaces. Meanwhile, since the G2868PQU is aimed at gamers, it supports AOC’s Game Color (user-adjustable saturation), Shadow Control (user-adjustable brightness for dark areas in games), Game Modes (specific presets for FPS, RTS, Racing genres, and three user-defined presets), and Dial Point (crosshair) features. 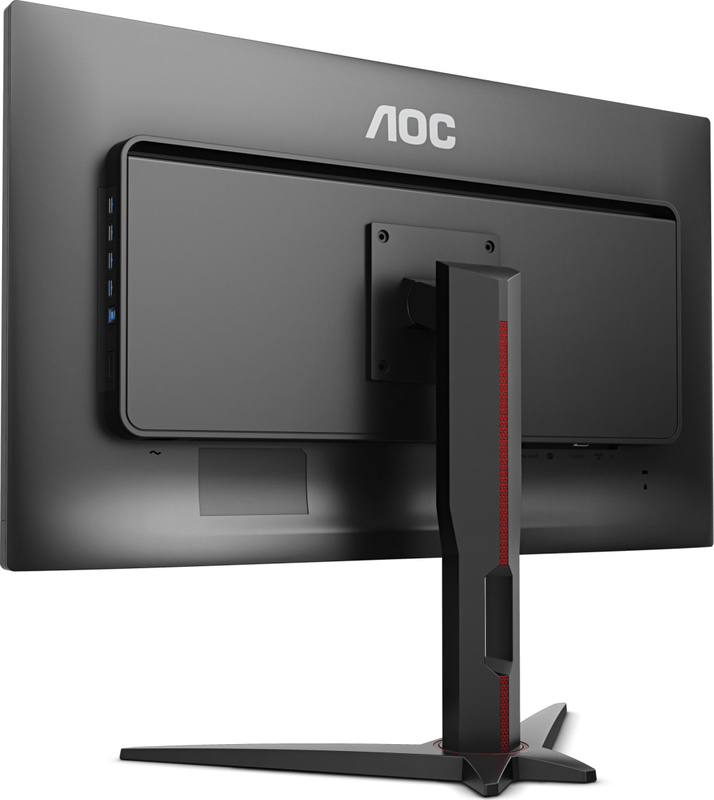 AOC's monitor comes in a rather angular chassis with red inlays to emphasize its gaming nature, and the stand is height-adjustable. As for connectivity, the G2868PQU offers four inputs (D-Sub, DVI-DL, DisplayPort, HDMI-MHL) to ensure compatibility with both modern and legacy systems, a quad-port USB 3.0 hub, an audio input, and a headphone output. As an added bonus, the LCD has stereo speakers. AOC will start selling the G2868PQU monitor later this month. The display will cost £319 in the UK, so expect it to be priced at around €370 in Europe and $350 in the USA. Hmm I hear high powered graphics cards contribute to global gaming. 5W laptops ought to be good enough for the bottom 99%!